Every Disney film, circles around a princess and her quest to endure, fall in or let go of love. 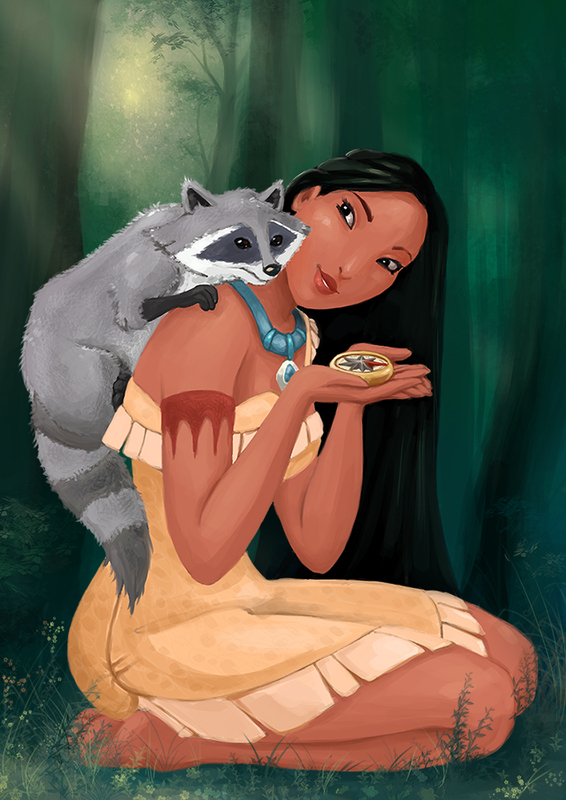 And the tale of Pocahontas is no exception. It explores the differences of the American and the Native American. The commercialized building builders hunting for greed and gold vs. the people of the land that bear the significance of the wind and trees and soil beneath their feet, the people who have made the outdoors their home. It’s a simpler life, a natural life. 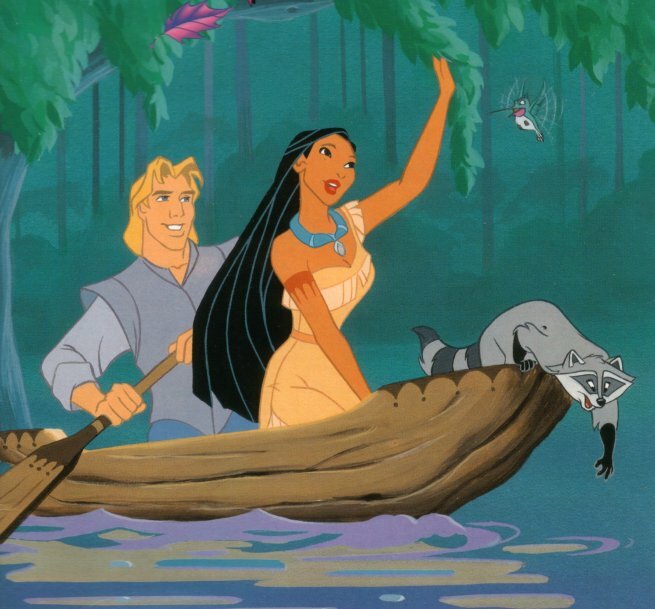 When John Smith meets Pocahontas those two worlds collide, and a true love is born. She teaches him just how valuable natural life and land actually is, and just how meaningless gold and greed are. I think it’s safe to say that John Smith learned quite a lot. The only thing that bothered me, or should I say left me feeling a bit uneasy was the end. John Smith ends up getting injured badly, due to the rival between his world and Pocahontas’ world. 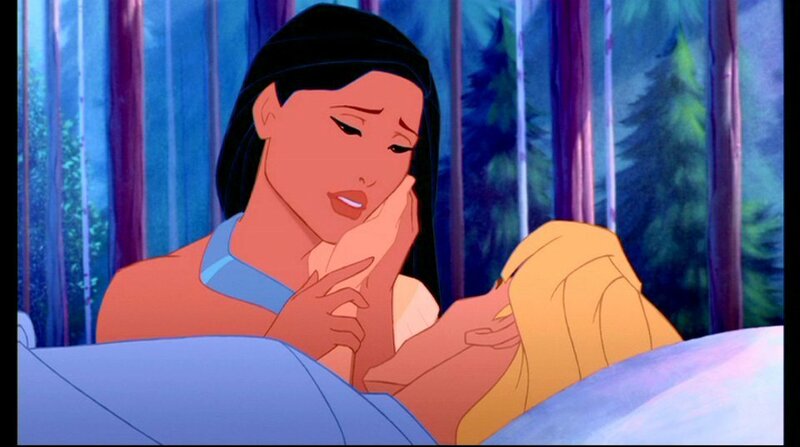 And therefore he is set to leave back home, leaving a heartbroken Pocahontas behind. Mind you at first he wishes to stay, stay in her land with her. But they both know it is not an option, for his wound is too severe for the restrictions of their native lands. Then he tries to ask her to come with him, but she declines stating her place is on her land, with her people, and her family; they need her. In a tearjerker ending John Smith sets sail home, after promising they’d always be with each other and as the boat sails off, Pocahontas rushes to the edge of the cliff overlooking to watch. As “Colors of the Wind” plays once again. In a way I understand the end, as an adult, I completely agree with her decision. Sure she fell in love, but he was a man she just met. Her family has been with her, has been there for her, and has been her foundation for her entire life. And her land is her home. But that ending also gives hope, that regardless of the distance between the two, they will always be connected spiritually, which when you really think about it…is a beautiful concept. And one that really puts Disney at a higher level. 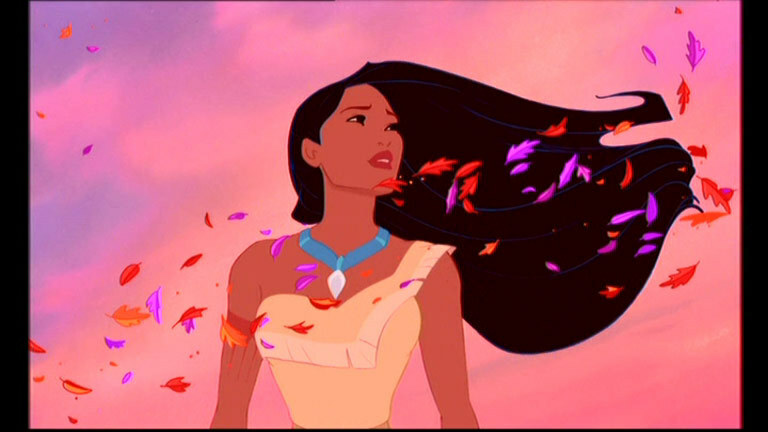 I’ve decided I just want to be Pocahontas for a day.